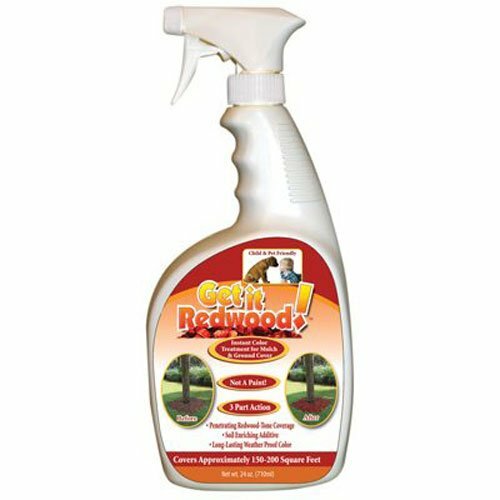 24 OZ, Get It Red, Ready To Use, Mulch Colorant Spray, Covers Up To 200 SQFT, Not A Paint, Water Based Formulation, Immediate Results, Penetrates Weather Worn Wood Chips Or Unattractive Ground Cover & Permanently Stains It, Color Will Not Flake, Peel Or Chip, Extremely Weather Resistant. Not a Paint! Instant color treatment for Mulch & Ground cover. Penetrating Redwood Tone Coverage. Soil enriching additive. If you have any questions about this product by Science Solutions, contact us by completing and submitting the form below. If you are looking for a specif part number, please include it with your message.